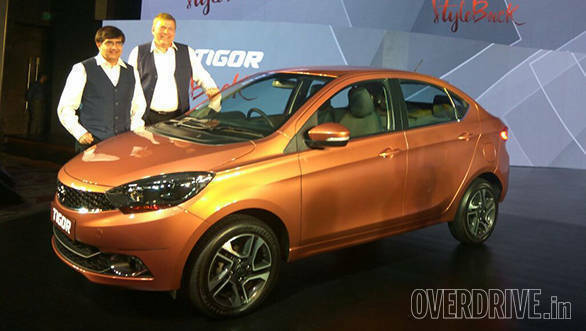 Tata Motors has launched the new Tigor in India between Rs 4.7 lakh - Rs 7.09 lakh (ex-Delhi). The new sub-four metre sedan is based on Tata's popular hatchback, the Tiago and by the looks of it, the company has done a pretty neat job of integrating the boot. 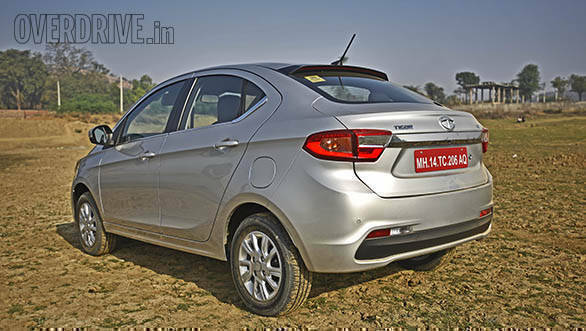 Tata calls it the Styleback and it certainly is on the point when it says so. The design has been the talking point right from the time the car was showcased at the 2016 Auto Expo in Noida. In fact, when you consider the design of the Indigo CS, India's first compact sedan or its evolution, the Indigo eCS, the Tigor showcases the strides Tata has taken in the design department. Another notable feature are the gorgeous 15-inch diamond cut alloy wheels, that for some reason, is only available in the top spec petrol Tigor. An obvious advantage of sub-four metre sedan is the additional boot space and the Tigor offers 419-litre, which is 177-litres more than the Tiago. Tata has also developed a clever four-link opening mechanism for the boot lid which allows for a larger aperture, making it easier to store large suitcases. The Tigor is available with both petrol and diesel motors, lifted straight off the Tiago. Both engine are mated to a 5-speed manual transmission. 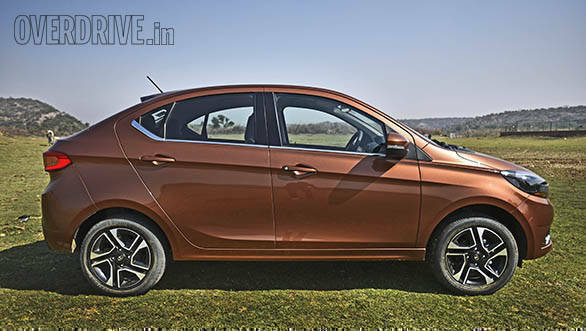 Since Tata has recently introduced an AMT in the Tiago, one cannot rule out the possibility of the Tigor getting an AMT, sometime in the future. The 1.2-litre petrol unit develops 85PS and 114Nm while the 1.05-litre diesel engine produces 70PS and 140Nm. While the diesel motor will be the obvious choice for those who cover long distances on a daily basis, our pick is the petrol motor that's both refined and peppy. We drove both the variants recently and you can read about it here. The Tigor has a longer wheelbase, by 50mm, than the Tiago which translates to more rear legroom. 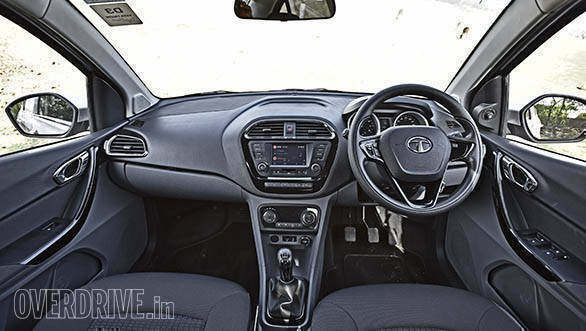 The interior has a similar layout to the Tiago, however, the lower portion of the dashboard has a darker shade. The Tigor also gets a Harman-developed , touchscreen infotainment system and based from what we've experienced, sound quality is pretty good. The top spec Tigor gets automatic climate control as well as rear view camera. The cabin overall is roomy and Tata has managed to offer 24 storage spaces, spread across every nook and corner. The Tigor will be available in four trims- XE, XT, XZ, XZ(O) and six colour options. 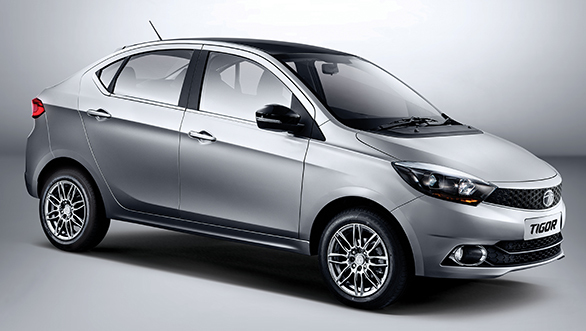 Bookings for the Tigor have commenced across Tata dealerships in the country. As always, stay tuned to OVERDRIVE for a detailed road test as well as a comparison test.